The reward has been increased to $10,000 for tips leading to information relating to the fatal shooting of a 15-year-old in Gary, Ind. GARY, Ind. (WLS) -- The reward has been increased to $10,000 for tips leading to information relating to the fatal shooting of a 15-year-old in Gary, Ind. 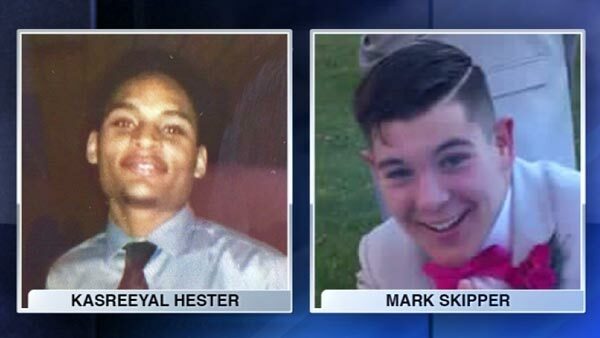 Mark Skipper, 15, and Kasreeyal Hester, 17, were killed Feb. 5, 2016. They were found fatally shot inside a vehicle in the 800-block of Burr Street, police said. Their mothers, Stella Skipper and Nakia Hester, said they're hoping 2017 will bring a break in the investigation into their sons' homicides. Skipper was previously offering $5,000 for information leading to an arrest in her son's death. After an anonymous donation, the reward was increased, according to Skipper. Hester's friends said the Gary teen also had dreams of playing in the NFL. Hester had been out celebrating his birthday with Skipper after picking him up at his home. It's unclear why the boys were targeted. Gary police have not made any arrests. "It's bad enough that he's gone, but it's even worse not knowing who or why," said Hael Glidewell, Skipper's stepfather.